Begin Session Failed. S0000 00000 [QODBC] QB Begin Session Failed. Error = 80040421, This application is not allowed to change its authentication preferences unless QuickBooks is running with the Administrator logged in. 0x00000000 [ISAM] S0000 00000 [QODBC] QB Begin Session Failed. Error = 80040421, This application is not allowed to change its authentication preferences unless QuickBooks is running with the Administrator logged in. ISAM_BEGINSESSIONFAIL S0000 00000 [QODBC] QB Begin Session Failed. Please start QuickBooks, Login to the company file as Admin, Switch QuickBooks to single user mode. 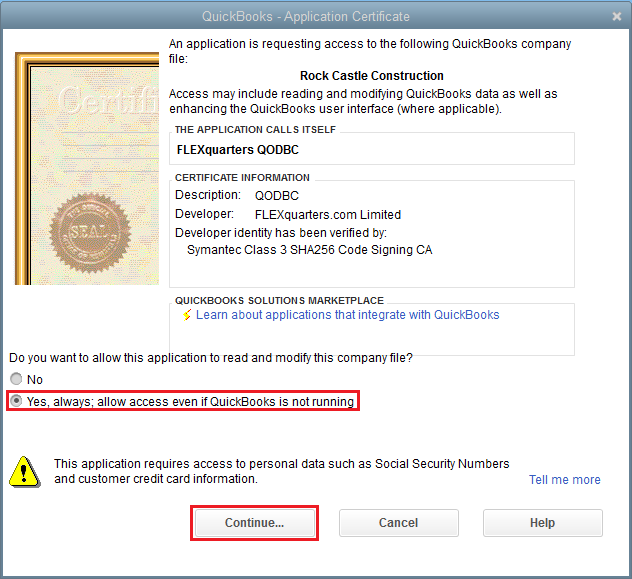 Try connecting your application, it should pop up Data Access Certificate on QuickBooks, Please accept the Certificate. 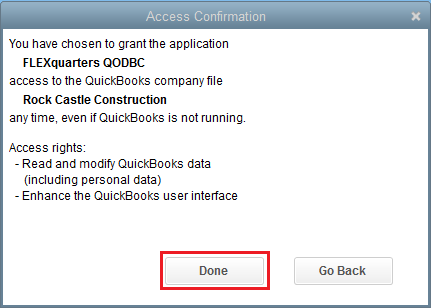 After the Certificate is accepted Please close your application and Switch QuickBooks to Multi-User Mode. Perform a test with your application. If above does not resolve the issue, Please start QuickBooks, Login as Admin, Switch QuickBooks to single user mode. And try again with your application.